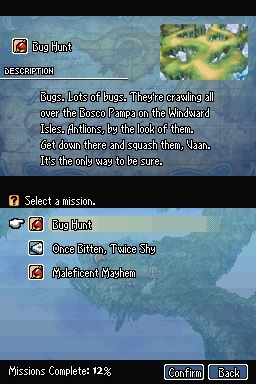 Bug Hunt: Bugs. Lots of Bugs. They’re crawling all over the Bosco Pampa on the Windward Isles. Antlions, by the look of them. Get down there and squash them, Vaan. It’s the only way to be sure.